The humid subtropical weather of North Alabama makes retirement a year round pleasure for aging adults. Furthermore, with great entertainment and unique local attractions, such as the US Space and Rocket Museum and the Huntsville Botanical Gardens, there are endless activities for retirees to enjoy.  Below is a list of independent living communities and retirement homes in North Alabama. Use the search by city filter to find to narrow down your search to Huntsville, Decatur, Madison, etc. Redstone Village is the best choice for Life Plan senior living in Huntsville. With independent living apartments and villas, along with on-site health services including Assisted Living, Skilled Nursing, Memory Support and more, the peace of mind that comes with our Life Care agreement guarantees you access to professional health services from the day you move in.